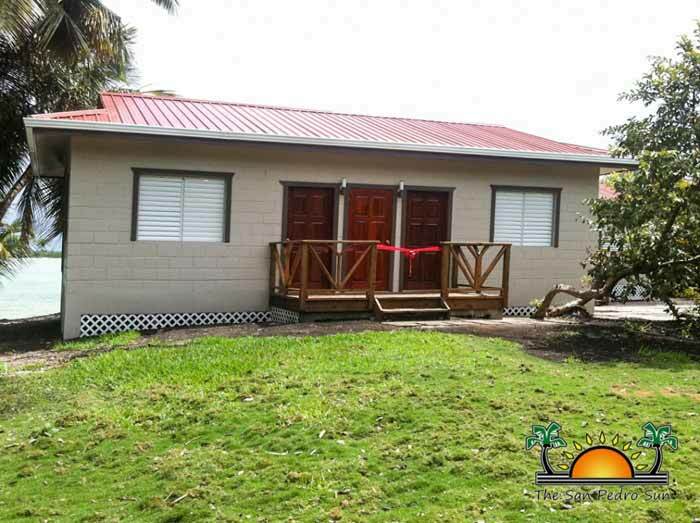 The new Bacalar Chico Ecological and Educational Center at the ranger station is now fully equipped with the complete necessary infrastructure to host large groups of tourists, day or overnight trips and even stay-overs for students in research programs. The new facility includes two separate buildings housing male and female dormitories for up 20 people, and is fully equipped with indoor showers and restrooms, facilities for up to two tour guides, including a small office research area, a building with a fully equipped kitchen and dining area, a common area with picnic tables and barbeque grills, a 30-foot observation tower, refurbished existing ranger quarters and other buildings including a visitor’s center and a refurbished and expanded docking facility. The entire facility is now being supported with newly installed solar panels and a state-of- the- art fresh water and sanitary system. While the marine park sees a very high number of visitors, annually only about 3,000 people visit the national park at the Bacalar Chico Outpost. According to Heredia, that is because marine and national parks such as Bacalar Chico face major challenges in the area of accessibility and safe access through its expanse. When speaking at the event, Minister Heredia said that the concept of improving Baclar Chico Marine Reserve Outpost was part of the mandate of the Sustainable Tourism Master Plan. Heredia said that the project was possible because of the support of the Ministry of Fisheries, Forestry and Sustainable Development and finances obtained from the Inter-American Development Bank (IDB). “It is clear that Baclar Chico has great potential of developing its eco-tourism objectives…. We decided that with some level of investment in this area, that Bacalar Chico would be better poised for its tourism potential and more important to achieve the level of sustainability it wants. Our national protected areas are truly the foundation of the nature and culture-based tourism product of Belize,” said Heredia. The Bacalar Chico Marine and National Park covers an area of 28,140 acres of terrestrial and adjacent marine area on northern Ambergris Caye. The area, which forms part of the borderline with Mexico, is part of the Mesoamerican Barrier Reef System and has been nominated a UNESCO World Heritage site. It is used primarily by a number of marine research students. Present at the ceremony was the Chief Executive Officer in the Ministry of Fisheries, Forestry and Sustainable Development Wendel Parham, IDB Country Representative Anneke Jessen and other key players in the STP and Tourism sector. Later in the evening a similar ceremony took place at the old embarcadero area which has been transformed into the San Pedro Sunset Boardwalk project and the Saca Chispas sporting arena (now renamed). The project, which in its initial stage was opposed by many of the traditional fishermen who still use the area, was scheduled to be completed by October 2013, but ended up delayed by five months. It includes an arrival and departure area for both local and international arrivals with a centralized municipal docking facility, individual local fishing and docking facilities with cleaning/storage area replacing existing dilapidated structures. The project also entailed the reclamation of 1.2 acres of the lagoon for the extension of the football field, 800 feet of boardwalk with several stalls stretching to the north to the intersection with Nurse Shark Street and Caribeña Street and south to Black Coral Street. The undeveloped area that was once a part of the football field, which currently has a private food booth, will be used for future development for public parking and a temporary House of Culture. 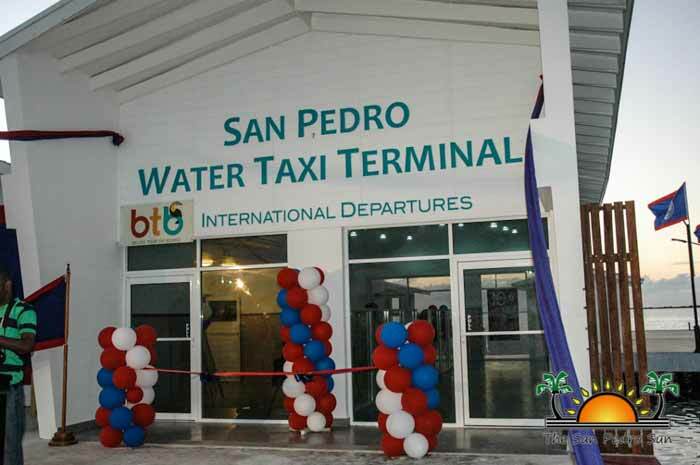 “San Pedro Town is now emerging as an international border point with over 10,000 international visitors landing by water taxi each year from Mexico. Tourism will continue to shape the lives of Belizeans and Ambergris Caye and as the leading tourism destination; we must have all eyes on the goal post as it moves… The scenic and heritage waterfront of the lagoon, affectionately known as the embarcadero area, has finally been given the view and attention it deserves. It is the stepping stone for the future guided by the sustainable tourism master plan envisioned for San Pedro as a vibrant town… the importance of transport activity and safety, tourism and community satisfaction, improved public areas and opportunity for local economic development was the focus of this investment,” said Heredia. The two projects were part of STP, financed under a US $15 million loan from the Inter-American Development Bank. Speaking at the evening event, IDB representative Jessen said that the IDB supports tourism-based projects under the STP since it is an economic engine for growth in Belize. “IDB has been working in Belize for over 21 years and during that time we have seen tremendous growth in the tourism industry and I think I can safely say that IDB has been a long standing partner to Belize in specifically in tourism and other areas sector… We are helping government generate new revenues from tourism and the inaugurations of the two facilities are examples about how tourism can impact a community. We are happy that the finances IDB provide have turned into useful underscoring products” stated Jessen. Following the ceremony, Heredia, Jessen and the Mayor of San Pedro Town Daniel Guerrero cut the ribbon and unveiled the new facility. Also present at the ceremony was the Minister of State in the Ministry of Youth and Sports Herman Longsworth, Deputy Prime Minister of Belize Gaspar Vega and the Ambassador of China on Taiwan His Excellency David Wu and other local dignitaries. As part of the events, a spectacular fireworks display lit up the skies while cultural dances and music kept the many islanders entertained throughout the course of the night. While the project has been inaugurated, the management of the new facility is expected to be handed over to the municipality in the coming months.